Hazel – Leads a migration of rabbits to Watership Down. Fiver – A rabbit with a somewhat psychic ability to see danger. BigWig – The head security rabbit, protector of all the others. Woundwort – Leader of Afrafa warren. A dictator type rabbit leader. Dandelion – The warren’s storyteller. Fiver senses danger coming to their warren. He informs Hazel who organizes a group to leave their warren in search of a better place. The place they set out for is Watership Down. Along the way they encounter dangers from traps, people, and an evil army of Rabbits. This is one of those books that’s recommended in high school. You always intend to read it but somehow never do. I mean, a 400 page tale about rabbits. It seems like it would drag when described that way. My wife purchased my copy last year for Christmas. 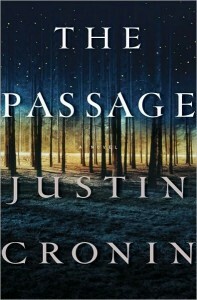 I’d avoided reading it, because what I perceived as more thrilling books came along. However, I was making a goal of 100 reviews by the end of 2010. I had done 99 and needed one more book. 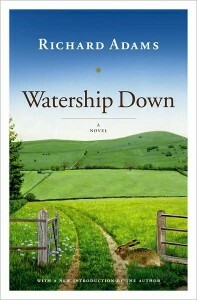 I pulled out Watership Down and decided that would be #100. Even my wife said I didn’t have to finish it if it was boring. Such was not the case. This is one of the most beautifully written fantasies I’ve read. The author creates myths, a belief system, and an entire culture around the rabbits, and does so in a well researched way. There is even their own language which is used sparingly, but is still there. You find yourself hoping beyond hope that the rabbits will survive the problems they run up against.. There are daring escapes, and a lot of danger for them to avoid. Just like in life the one thing we have to fear the most is our fellow man, so it is in Watership Down. The biggest danger to them doesn’t come from man, but from other rabbits. The author managed to weave a tale involving commentary, religious ideas, a story of survival, and most of all love, into one amazing story.. My one regret is that I didn’t read this book sooner. There is no objectionable language, but there are some violent scenes that might not be appropriate for a young child. This is definitely a fantasy for older teens and adults. I’m so grateful to my wife for purchasing it for me, and my thanks goes out to her. If she hadn’t bought it, I’d have probably missed out on a great book. It just goes to show, don’t judge a book by the cover, or even the synopsis. Jeremiah Falls – A man struggling with an inner beast. Skog – Main antagonist trying to bring about the end of the world. Amala Dhul-Nun Al-Misri – Interpreter. Takes care of Jeremiah when he’s injured. In 1644 Jeremiah Falls and his father are leading the normal Puritan life. They are out tending their fields when his father is attacked by a creature neither have seen before. His father was killed, and the creature is injured and runs off. Later Nathan returns from the dead, kills his wife and injures Jeremiah. Jeremiah is turned into a creature of the Night. His grandfather helps him control this new blood thirsty beast raging within him. He spends the next 150 years learning from Indian neighbors as well as knowledge gained from books. Through this self-study he learns about a black rock that may set free him. This book was full of action and adventure. It was written similar to the style of King Solomon’s Mines and Indiana Jones but with a vampire. The author covers a lot of history though in a fictional content. The history spans everything from the birth of mankind to the 1790s. One of the interesting aspects is how the author ties biblical concepts into the story to explain vampires.. 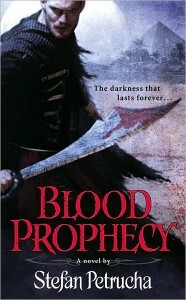 If you are a fan of historical fiction, and like vampire tales, then I think you’d like this book. It’s not for you viewers, definitely older teens/adults, but was a nicely written action/adventure/historical book. There were some issues, such as Jeremiah always finding extra power within himself, but I took that as an analogy that just when time looks dark, if we push just a little harder we can overcome..
All in all a very interesting story that kept me interested from page 1 all the way to the end of the story..
6) Contest will continue until 01/06/2011. The technology of the world we know, no longer exists We’ve reverted back to a former age of swords and magic. This is manifested in 5 martial warriors. They are brough together in a quest to stop an evil wizard named Brit from unleashing all the demons of the underworld upon the earth. These 5 warriors are called together by the guard of a tower called Takashaniel, there quest to arrive there and protect the tower from Brit and his demonic menions. This book, set with feudal characters, reminded me in many ways of an Akura Kirosawa film. It starts out jumping between each group of characters, as well as showing you what Brit is up to. Once Brit’s plan is set in motion however, the action never stops until the last page. The description of the characters were very vivid, and the writing of the action scenes was very well written, and kept me going page after page. I really grew to like these characters. I think my favorite was Akemi, the Ninja. There was plenty of cliffhanging moments, where you were left wondering if the characters were alive or dead. The ending left enough loose ends that the story could be continued. On an age level, I’d probably say late teens or adults for this. While there wasn’t much strong language, there was a lot of combat situations, etc. and creatures that might leave young readers frightened. If you get the opportunity, grab this book. It’s available for both the nook and Kindle. I think you’d enjoy the story, especially if you’re a fan of stories like the Lord of the Rings. See our interview with Mr. Terrell here. 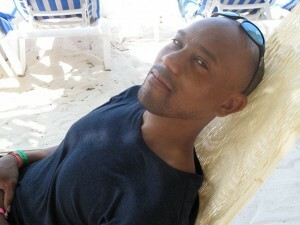 Today, Rhodes Review is proud to welcome Ramon Terrell. 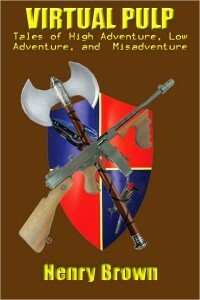 Mr.. Terrell is author of an epic fantasy called Echoes of a Shattered Age. Thank you for joining us Mr. Terrell. Rhodes Review: Care to tell our readers about your background in writing? Ramon Terrell: Well, the first story I wrote was a short story for earth day when I was in the eleventh grade. I procrastinated and ended up whipping something up in twenty minutes during a class. My teacher read it and silently submitted it in the school contest and it won second place! I didn’t write much after that till I was in school for medical coding in 2002. I was ahead in my work and just started typing in my spare time in class. The teacher offered to let me continue so long as my work was done and she got to read it. At that point, the characters wouldn’t be quiet and I thought perhaps I would see this thing through. From there, its been a heck of a ride! Ramon Terrell: Oddly, no. *laughing* It wasn’t till my coding professor questioned whether I should be pursuing medical coding, or a career as an author that I considered it. 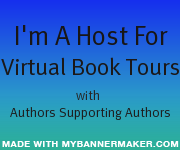 Ramon Terrell: For this one, I had a rough outline of where I wanted to go from start to finish, but once I started writing, very little of it turned out as planned. I think this is part of the process that keeps writing a more organic experience. There needs to be some structure, some line to guide you, but essentially I just sit down and ask the characters what they have to say and transcribe! Rhodes Review: Where do you usually get your muse/inspirations? Ramon Terrell: I find nature and music inspirational. I listen to a lot of instrumental music and soundtracks. I’ll listen to a track and then that perfect scene pops up and I have to get it down before it fades away. I’ve learned to keep a small writing journal nearby at all times. Rhodes Review: What led you to come up with the story for Echoes of a Shattered Age? Ramon Terrell: I would have to say it was the desire to see warriors from different ethnicities in a fantasy setting. Given the types of characters and themes we see in fantasy today, I think there is a lot of room to expand. Rhodes Review: A lot of the story involved martial arts, is this a personal hobby of yours? Ramon Terrell: *chuckles* I wish I could say it is more than a hobby, but I’ve let life distract me a bit too much. For now, it is in the hobby section, but I would like to get serious again one day soon. Rhodes Review: I noticed a lot of similarities to films of Akira Kurosawa. Was this intentional? Ramon Terrell: Actually I’ve never seen them! I may have to see what they are about. Ramon Terrell: Well, the next book, which I’m currently editing features Kita and Kenyatta, as well as one character whom they stopped to help out during their travels. Throughout the book, there are very brief updates as to what the others are doing but its more to let the reader know the other three are not forgotten, and there is more going on. The entire group returns for book three to finally deal with Brit and Kabriza. Rhodes Review: How long did you spend writing Shattered Age? Ramon Terrell: It took me about six months to write. Rhodes Review: Akemi is a Ninja, Kenjiro a Samurai, what are Kita, Kenyatta and Shinobu? Ramon Terrell: Kita and Kenyatta are more or less warriors. Although they have been trained in the same manner as a warrior, such as a samurai, they tend to wander without much in the way of structure. Shinobu is more of a mystery. He is a Strider. Not much is known about them, but they have some similarities with ninjas. In book three, we’ll get to learn more about the origin of the Striders, and also that sword Shinobu carries. Rhodes Review: Does a novel like this take a lot of research? Ramon Terrell: Not a great deal, really. For this book, I used mostly functional information I already had on hand, and looked up some things for reference. Rhodes Review: What’s your current writing project? Ramon Terrell: Currently I am polishing up the second book which features Kita, Kenyatta, and one other character from Echoes of a Shattered Age. I’m excited about this one because we get to see more things in the world that humans are unaware of. The origins of the world and humanity’s place within it comes to light. There is much more out there for them to discover. Although there will be plenty of action, this one will deal strongly with origin, both personal and worldly. Thanks again Ramon for joining us here at Rhodes Review. See our review of Echoes of a Shattered Age here. How does the stories of Genesis apply to our lives today. 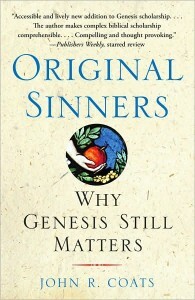 In Original Sinners, author John R. Coats illustrates sometimes through personal examples some of the stories of Genesis. He does this in conjunction with explaining what the Genesis story is telling us. He also doesn’t take the view that only his interpretation is correct, which I find refreshing in religious texts. While he does bring religion into the discussion, the lessons he draws from them will fit anyone regardless of religious background. I found the book very interesting. Some of the Jewish history, I was already familiar with. He doesn’t take the side of it’s all myth or the side of it’s all fact, and leaves the reader to determine that for themselves. I’m not certain that some of the more conservative readers though would appreciate it, since it does challenge some long held beliefs. The author often references other scholars, some Rabbinical, an d the works they’ve written. There is a nice bibliography section at the end, and the book is indexed. If one thing was confusing it was the authors references to the different sources of biblical writing (one of the things that would challenge people’s beliefs). The author seems to work under the assumption that you’ve read The Bible with Sources Revealed by Richard E. Friedman, which I hadn’t. I found myself having to research the time periods for J, E, P, D, and R (the sources). Having done the research though, I think Mr. Friedman’s book may be one I check out. If you are open minded and have any interest in spiritual paths, or learning about religious history and how it applies to the present, then you should check out this book. If you are easily offended by others beliefs, then I’d probably skip it. See our giveaway here or an article by Mr. Coats here. 6) Contest will continue until 12/21/10. See our review here or an article by Mr. Coats here. Ever wonder about the meaning behind Good King Winceslas? Have you thought about where Jingle Bells came from? How about the story of Rudolph the Red Nosed Reindeer. 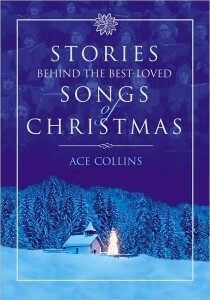 In Stories Behind the Best Loved Songs of Christmas, Author Ace Collins uncovers a lot of the stories behind the songs. You’ll discover when Nat King Cole first heard The Christmas Song. You’ll discover what part Judy Garland played in Have Yourself a Merry Little Christmas. How about what the meaning behind God Rest Ye Merry Gentlemen. You’ll find all those answers in this book. The subject was well researched, and most of these stories I’d never heard before, and was quite surprised to discover the true meaning. Some weren’t even meant as Christmas songs. The author does tend to go a little beyond just telling the historical story at times, and it gets a little heavy probably for some on the religious side. However, the book is published by Zondervan, so I’d expect the religious tones. However, no matter your religion, if you celebrate Christmas or not, if you enjoy these songs, then I think you’d appreciate this book. It would also make a nice stocking stuffer. No objectionable content, and appropriate for any age group. Amy – Main Character – Abandoned with no parents, she is used for virus testing. Lacey – A kind Nun who takes care of Amy when she’s abandoned. Peter Jaxon – One of the primary future characters. Theo Jaxon – Peter’s Brother. Babcock – The Main Antagonist. The First Viral. Sometime in the near future, scientists experiment with a virus. They think they can slow down the aging process through a virus found in victims of vampire bat bites. The government takes 12 men from death row, some falsely accused, and uses them to test the experimental viruses on. The result is the end of the world as it now stands. Shift forward 80 years or so. A small colony of survivors of the “Vampire” or Viral attacks live in a fortified city. They are in a constant struggle to stay alive, and at times have to sacrifice their own people when they become infected. They often travel out in parties to gather supplies, but can only do so during the daylight. At night it’s a constant watch for virals. I had very mixed feelings about this book. For one thing, it received a tremendous amount of hype. It’s also a very large book. It’s the first time I’ve read something in the epic horror genre. Now that I’ve had though, I think I need to go back and check out The Stand by Stephen King. The subject matter of this book reminds me a lot of Michael Crichton’s work, in the manner of science gone wrong and how far will we go as people to prolong our life. The first few parts of the story setting up the virals, the prisoner test subjects, and the breakout were very action packed. Then when it got to the First Colony, it seemed to drag for a while. Then suddenly the action picked up again, and kept me until the last page. Eventually it got to where I didn’t want to put the book down. There are two more sequels apparently planned, and I look forward to them to see how the story ends. The characters are richly developed. Peter you see go from happy-go-lucky to a man with the weight of the world on his shoulders. You spend a lot of time getting to know some characters, and then see them die. And there is much death and destruction in this book. I was a bit let down by Babcock. I would have expected a much stronger villain type, but when looking at his “human” background, I think his evil is based on how evil he was in life. If that’s the case, then readers are in for a big ride when some of the other virals are faced. There is a lot of strong language, strong violence, and just general mayhem. I’d say anyone younger then 16, you might want to avoid this. However, if you are a fan of Stephen King, or of Horror on a broad scale, I think you’d like this. This book is a salute to the old pulp fiction novels (Conan, Tarzan) of the past. It’s a collection of 5 stories, each set in a different time period. One story is a sword and Sorcery story, another Post Apocalyptic, others are historical, or what if historical tales. 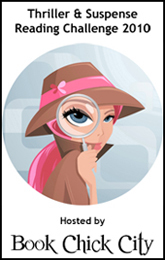 Each tale presents likeable characters. My 2 favorite stories was The Bloodstained Defile and Barbarian Nation. The Bloodstained Defile created a trio of unlikely partners who in their first adventure form a partnership of sorts. Barbarian Nation presents a story post fall of America. It seems a civil war divided the country, and two opposing sides of the former military battle for survival. There is strong situations, etc. so I’d recommend this for older teens, etc. but if you are a fan of Pulp Fiction books of the past, then I think you might like it. *Disclaimer* A special thanks goes out to Henry for a review copy of this book. It in no way influenced my review.